Why are there colored lines of bright and dark in your indoor and nighttime pictures? How do you get rid of them? Don’t worry, it’s not a problem with your camera. It’s a problem with electricity and LED lights and fluorescent lights. Fortunately, there are a couple of things you can do to mitigate the problem. The power that comes from the wall is called AC power, which stands for alternating current. Alternating means the power is literally cycling on and off continuously. In countries using about 110V in the wall, it usually cycles 60 times per second (60 hertz). In countries with 220V power, it’s usually cycling 50 times per second (50 hertz). When we used older incandescent light bulbs you never noticed a problem when you shot indoors because those bulbs use heat to make light, and the alternating power wasn’t off long enough to cool down the filament in the bulb so that it was noticeably darker, even at fast shutter speeds. LED’s and fluorescents, however, are turning on and off 60 times per second. You’ve noticed this with fluorescent lights when the ballast fails and you can see the light flickering–it’ll drive you crazy in an office. Higher quality LED’s don’t do it, or at least not noticeably. The issue becomes apparent when you use a shutter speed that’s out of sync with the lights. If you shoot when the power is off, you’ll see the difference in the photo. It may look like a stripe or many stripes of bright and dark in your picture. On older models of cars with LED headlights, you may make a picture and only some of the headlight will be illuminated–older Tesla Model S’s had this problem. In that case, each diode in the LED simply isn’t turned on at the same time. the slower shutter allows all the lights to burn into the exposure. The easiest way to eliminate these scanning/flickering lines from your pictures is to use a slower shutter speed. In America, that means shooting at 1/60th of a second or less. This shutter will capture all the instances when the lights are fully on during your photo. Shooting faster means that part of the picture is unilluminated. You may also find good luck shooting at multiples of 1/60th, so 1/125th, etc. But the only sure way to eliminate them is to shoot slower. 1/500 of a second with the Mechanical shutter, no scan lines. 1/500 of a second with the electronic shutter and the LED lights are separated. 1/60 of a second with the electronic shutter and the scan lines are gone again. You’ll also find that using your camera’s electronic shutter is worse than using the mechanical shutter. This has something to do with the way the sensor scans the scene line by line to record the picture. In these example pictures, you can see that the LED projector shining on the wall behind the presenter is separated into red blue and green when using the Electronic shutter, but it looks normal when using the mechanical shutter. The good news is that if you use your mirrorless camera’s constant preview setting, you’ll be able to see the lines before you even shoot. Here’s an article with more details about constant preview. The best way to eliminate scanning and flickering is to use a slower shutter speed, but in some instances, you’ll have success by simply turning off the silent/electronic shutter in your mirrorless camera. I’ve never had this problem with my dslr. 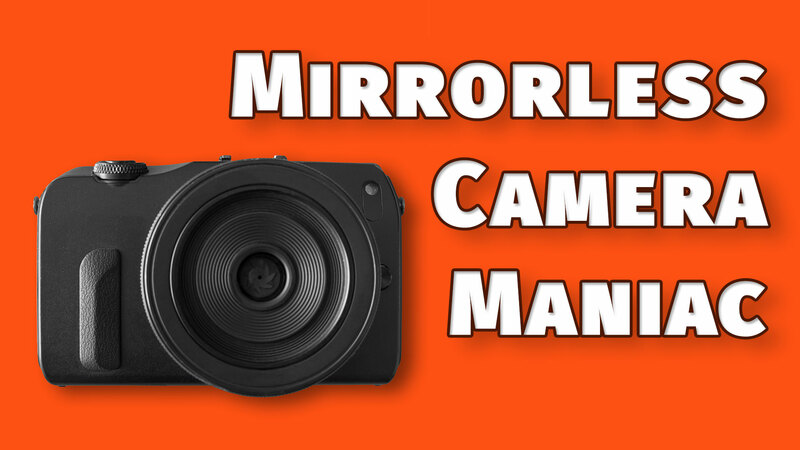 Is this just a mirrorless thing? Where I have seen it is in sports under sodium vapor lights. My Canons have a function that I can turn on to eliminate the flicker. Those newer Canons are very cool for compensating–as I understand it, though, it reduces the frame rate, is that right? But that’s much better than having to shoot at 1/60th of a second for sports! DSLR’s will still see the problem when shooting faster than the refresh rate, and it’s worse with cheap LED’s, in my experience, than with Fluorescents. It is worse when using the electronic shutter modes in mirrorless cameras, or with live preview on DSLR’s.